Have you been to ABC Kitchen in NYC? If you haven't, you must! Their food is sourced from local, organic farmers and the tables are set with stunning locally handmade ceramics and tableware. After you eat a beautiful meal (brunch is my favorite and it's more affordable), you can visit ABC Home and shop the plates, mugs and many other handmade, crafty items that also happen to be very very swanky. I love to peruse the ailes and dream of what my home might look like when I'm one day rich and famous. LOL. 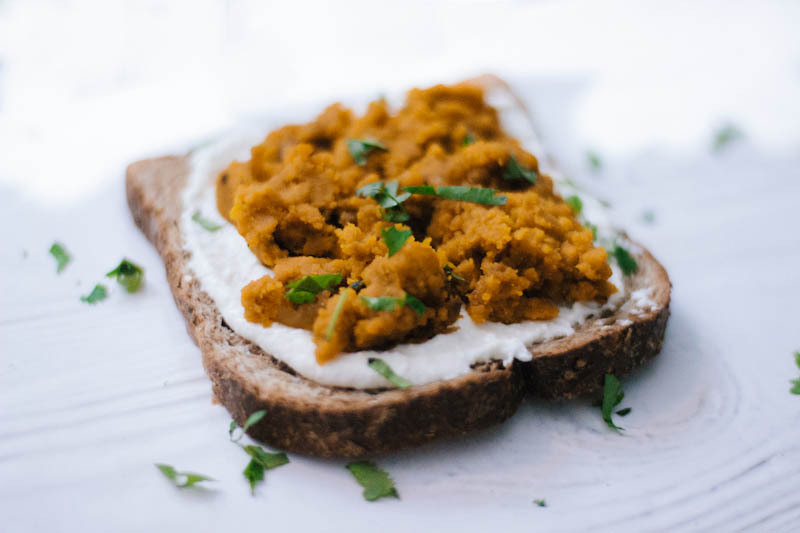 So this recipe is based off of ABC Kitchen's fabulous Kabocha Toast with some influence from Food52's variation, as well. 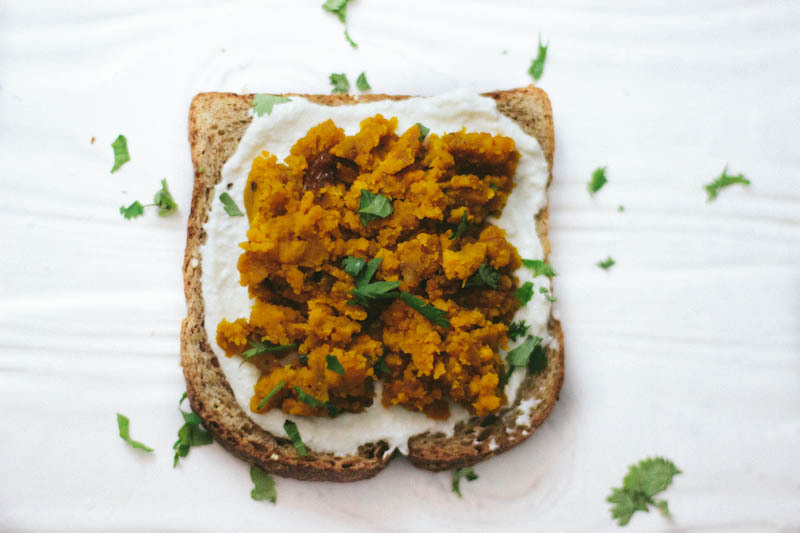 This is the perfect afternoon snack, or even breakfast -- and the kabocha squash is oh so filling. Kabocha squash is packed with beta carotene which has anti-inflammatory properties, as well as helping with eyes, hair and skin. It also has a high amount of Vitamin A, as well as iron, magnesium and copper. This is also known as a japanese pumpkin. I'd say it's the starchier of the winter squashes, but I LOVE it. If you like, sub butternut squash, sweet potato or whatever you fancy. 1. Preheat the oven to 425° F, drizzle olive oil on the kaboacha wedges and roast until tender, 30-45 minutes depending on how large it is. 2. In the meantime, make an onion jam by heating 1/4 cup of olive oil over medium heat. Stir the onions until they soften and caramelize. This takes about 12 minutes. 3. Incorporate the apple cider vinegar and maple syrup and let the mixture reduce into a jam, about 15 more minutes -- maybe longer. 4. Once the kabocha squash is cooked and mashable, scoop out the softened flesh and add it to a mixing bowl and give it a rough mash with a spoon or fork. Stir in the onion jam and season with salt, pepper and red chili flakes.